Diwali may be just a one day festival, but preparations for this festival of lights start at least a month before. Every corner of the house gets cleaned. The exterior gets a good scrub and a fresh coat of paint. Every household is decorated with pretty lights, vibrant rangolis and flickering lamps. Shopping for these decorations is always so much fun. But in hindsight, store bought decorations can become repetitive since every house will flaunt the same type of decorations. So why not make Diwali decorations at home this year? 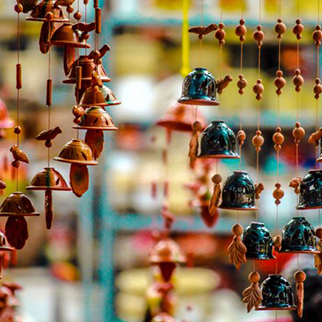 Add a personal touch to your Diwali with beautiful handmade decorations. It’s a great way to bring the whole family together. People these days prefer readymade lamps. The Chinese ones available in the market are cheap and pretty but they have a shorter shelf life and don’t be surprised if the bulbs start flickering in a few hours. At home, packing boxes can make amazing lampshades. Make some cutouts on a box to make different patterns and place a candle inside the box. So easy to make a simple, beautiful lamp at home with negligible cost. 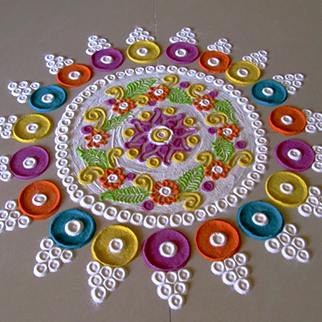 Since a long time rangolis have played a huge part in Diwali decorations. The bright colours, intricate patterns and elaborate designs give an instant festival makeover to any home. Try the new stick-on rangolis available in the market. Or use any leftover gulal from Holi to make rangolis. Diwali and torans go hand in hand. The fresh flower torans look beautiful but they can dry up within a few days. Whereas the readymade ones look plastic-like and can peel off partially, the real ones will always be distinct and refreshing. 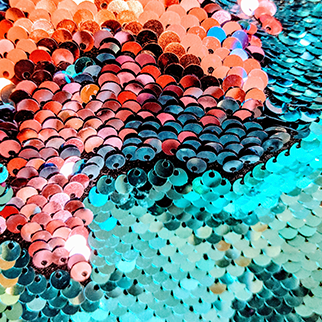 Paper, cardboard clubbed with beads and sequins can make interesting, colorful torans. Wall hangings can add a great amount of cheer and festivity to the house. Cloth fabric, jute, paper, buttons and even shells can be used to create artistic wallpapers. These versatile wallpapers can be used to adorn the house on birthdays, anniversaries and dinner parties too. Decorating a house is in vain if the house doesn’t smell nice. A strategically placed potpourri can bring an overall change in ambience. 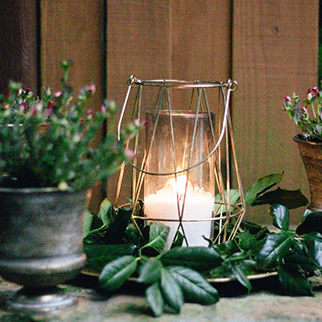 To make it a bit more interesting, floating candles can be added to flower petals placed in a big bowl. The aroma is long lasting and soothing, without overpowering your senses. 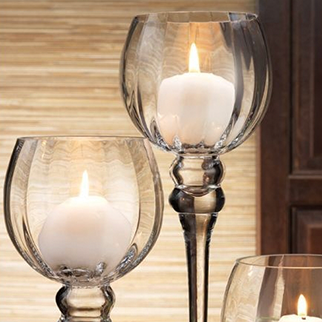 Inverted wine glasses can act as fantastic candle holders. With some flowers inside they can make an elegant centrepiece. It does not require much effort and every element of the you need to create this decor can be found at home. With these easy-to-replicate, recyclable and innovative ideas, Diwali is surely going to be more fun than last year. Moreover, when each family member contributes to decorate the house for Diwali, the true spirit of the festival comes across.